Are you a language teacher in Barcelona? Take advantage of our free teacher training workshops at our centre next to Passeig de Gracia. Our workshops in Spanish are open to any teachers who are interested in learning some practical and useful ideas which they can take straight into their classes. Whether you are an Italian, French, Chinese, Russian or any other language teacher in Barcelona, you are invited to come. These workshops will be held in Spanish by experienced teachers and attendees can expect learn some Spanish at the same time! 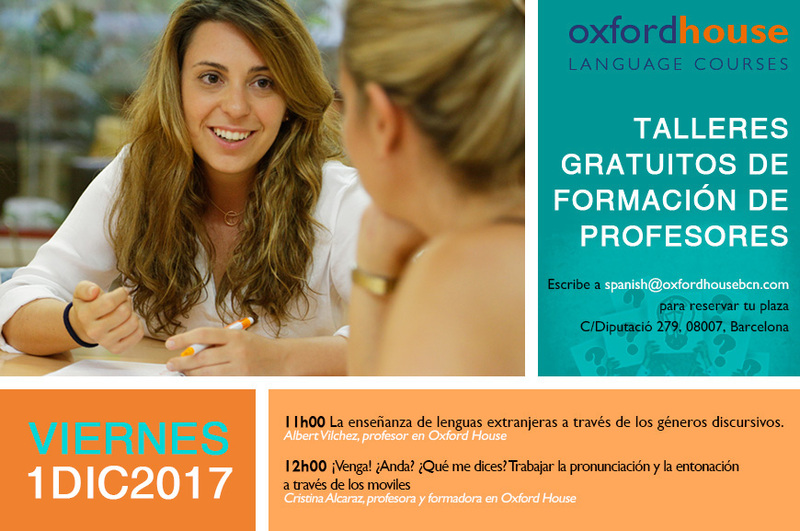 All workshops are free to those who confirm their attendance by emailing spanish@oxfordhousebcn.com. Recommended to those with a pre-intermediate and above level of Spanish.